The policy dealing with students who have asthma has changed. In accordance with the Act to Protect Pupils with Asthma (Ryan’s Law : Ensuring Asthma Friendly Schools, 2015) the Board approved a new policy #206: Protection of Students with Asthma at its June 21st Board Meeting. 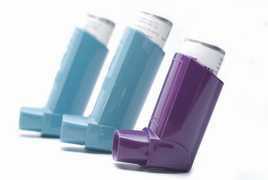 The York Catholic District School Board recognizes that there are some students within the school ... Continue reading "New Asthma Policy"